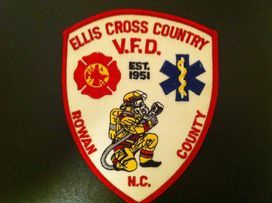 ELLIS CROSS COUNTRY FIRE DEPARTMENT-3420 Old Mocksville Rd. Salisbury, NC 28144 Est. 1951 "FPC 6"
Members are required to attend State Certification Classes offered by NC and Community Colleges for Firefighter I -1403 in order to enter dangerous hazardous fire condition. It's encourage in earning Firefighter II, EMT and additional Fire Service Certifications that's offered to help community,state and department in providing the best quality emergency service. EFD Requires 18 Training hours to remain on department roster by July. Carbon Monoxide Detector - located near the sleeping area, Additional detectors on every level and in every bedroom of a home provides extra protection against carbon monoxide poisoning. Don't install over/beside any type of fuel burning appliance or 15ft of cooking appliance and near humid area like bathroom.